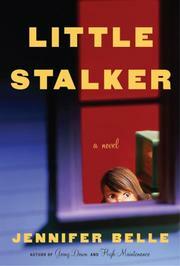 Young novelist stalled after the early success of her first book becomes increasingly fixated on a famous filmmaker she has admired since childhood. For 33-year-old Rebekah Kettle, few things are as comforting as the annual release of an Arthur Weeman movie. A prolific New York writer/director/actor (yes, think Woody Allen), Weeman has always been there for her, dating back to her parents’ divorce. So devoted is Rebekah that she spends $22,000 of her doctor father’s money at an Arthur Weeman prop sale, taking home such useful items as a gondola and an oxygen tank. Feeling slightly guilty about using her preoccupied dad’s money, which he has not yet discovered missing, she decides to pitch in at his medical practice after his assistant/mistress Irmabelle leaves. It is there she meets Mrs. Williams, a wheelchair-bound elderly woman suffering from what appears to be dementia. She also, it turns out, lives in the building facing Weeman’s, with a view into his kitchen. Soon Rebekah is wheeling Mrs. Williams about, buying her diapers—and watching Weeman. Things get weirder when she starts writing to him in the guise of a pubescent girl named Thalia. Her unanswered letters are wildly imaginative wonders of provocation and innocence, and she notices Weeman starting to squire around an actual underage schoolgirl. For Rebekah, Weeman’s inappropriate “relationship” is less troubling than the fact that her letters appear to have affected him. She soon realizes that she has found a subject for her second novel. Around this time, she meets her romantic match in Isaac Myman, an oddball tabloid photographer. As she and Isaac get closer, she feels torn: Exposing Weeman’s secret could win Isaac a career boost. In eccentric Rebekah, Belle (High Maintenance, 2001, etc.) has created another unforgettable narrator—funny, self-absorbed, a little damaged—and never predictable. Darkly comic journey touching on love, art and the nature of obsession.